Have you ever walked into a black business and immediately felt the authentic passion of the owners? How they hold a genuine love for their service and the black community? If you’ve never experienced that, then I suggest that you run, not walk, to Recipe, a new vegan and juice spot at 1831 S. Ewing Ave. in Dallas. 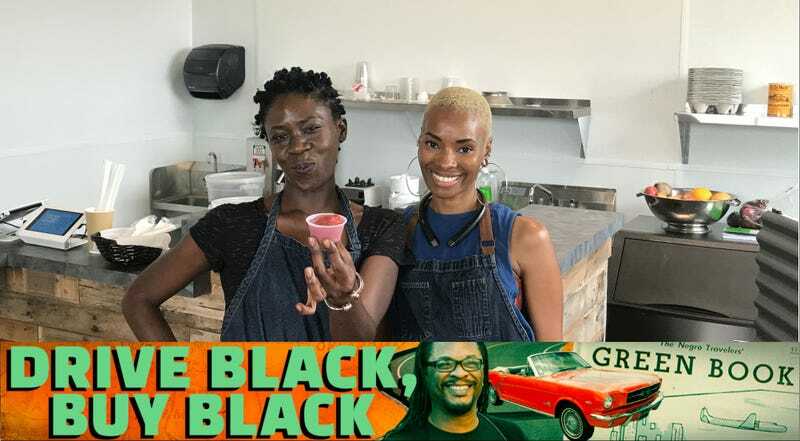 Owned by Tisha Crear—a Dallas native—who is assisted by Khepera Nicole, Recipe is one of those black businesses you root for because the product is great and the spirit of the owner projects wonderful positivity. Recipe’s mission is simple: to get African Americans to enjoy a vegetable-based diet, without losing flavor or the satisfaction one often gets from eating a meat-based meal. At Recipe, you can get vegan meals like delicious (like, if I lived in Dallas, I’d live off these things) lettuce wraps with a guacamole mix. Honestly, it was the best damn raw-vegetable item I’ve ever eaten, and I come from a family of caterers (and I owned a catering service to put myself through college). You can also get fresh juices by the cup or the jug, and they’re branching out to sorbets and smoothies. So head over there and keep them in business. Jamba Juice ain’t got nothing on them. And it’s black- and female-owned? Come on, y’all. You know I was down with that. Money spent? Five dollars for the lettuce wrap and a sorbet. Total money spent at black businesses: $308.